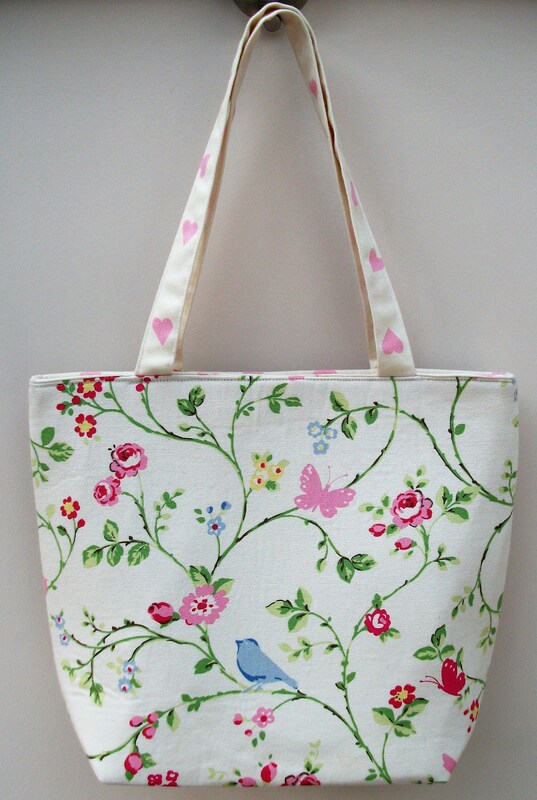 "Delius" bag - this is a beautiful, medium sized handbag made from a fabulous white high quality cotton fabric with a pattern of blue and pink birds, butterflies and pink and white flowers. 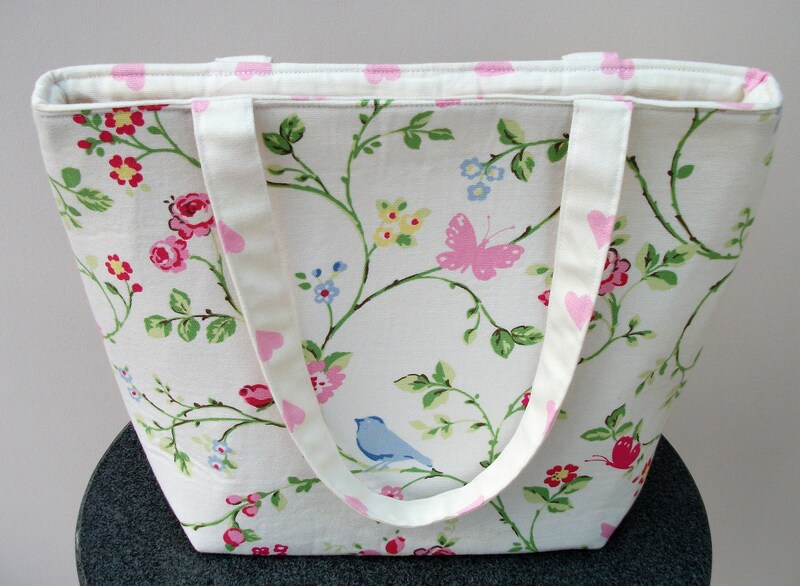 It is lined in a white cotton fabric with a pattern of pink heart, and that and the pink hearts on the the hand made handles enhance the pink flowers of the main fabric. 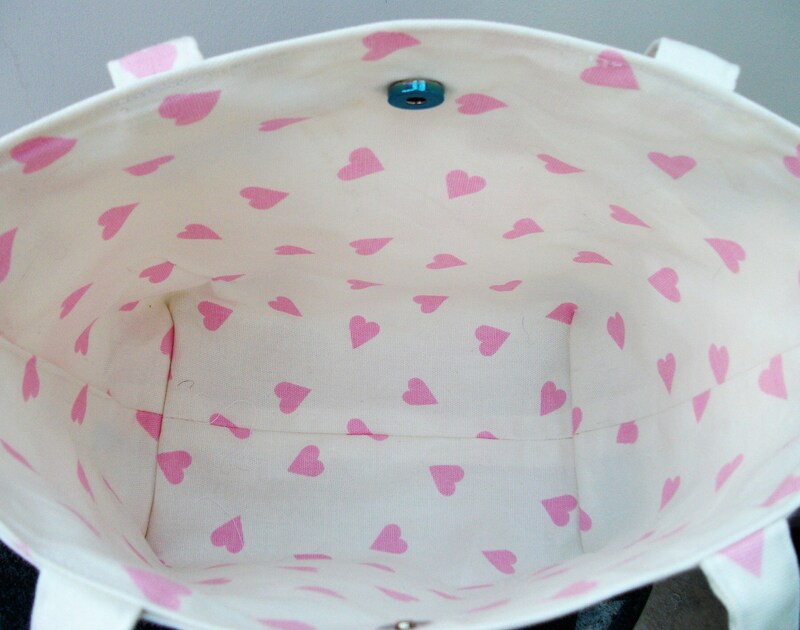 There is a small pocket inside for holding a mobile or smart phone and the whole bag is finished off with a magnetic metallic clasp at the top to prevent items falling out. 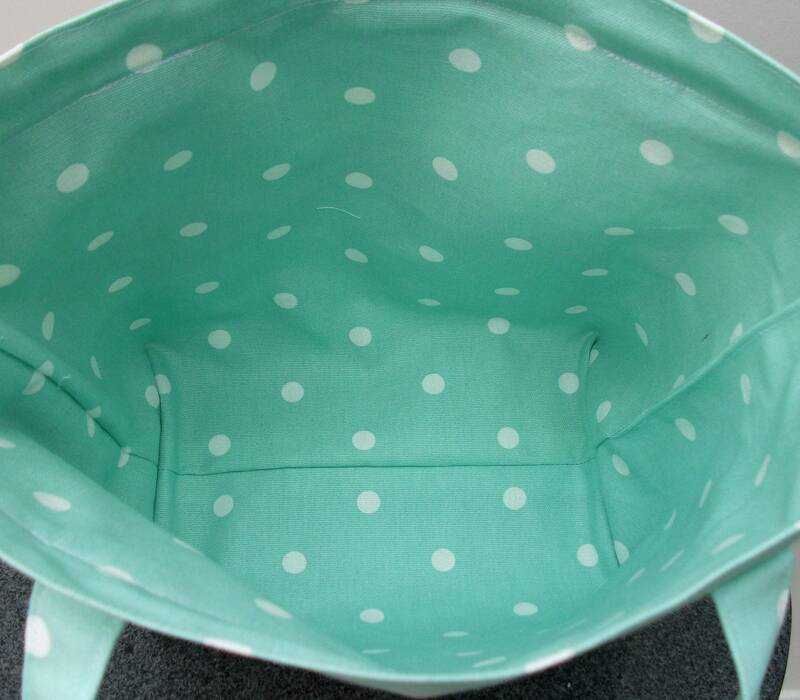 There is a heavyweight interfacing between the main fabric and the lining to give the bag added strength and to ensure that the bag will stand securely. 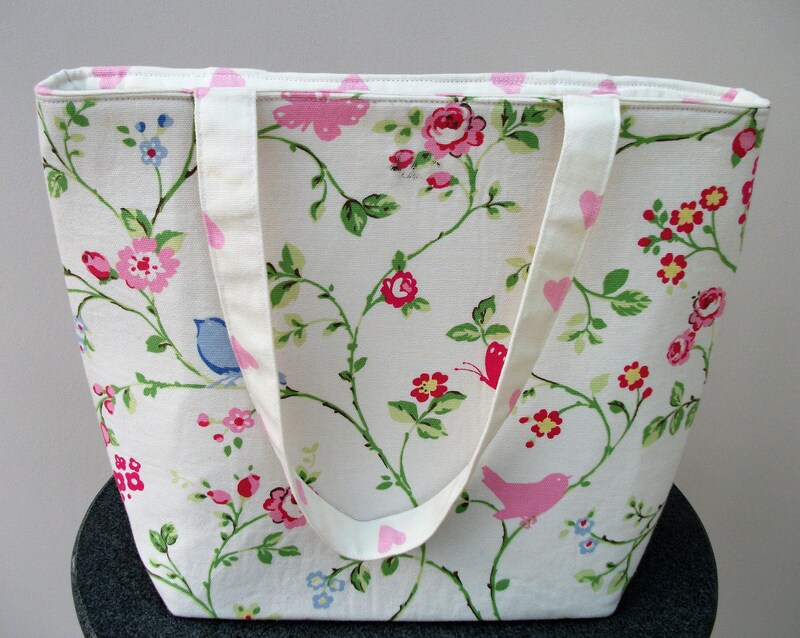 The handles are made from quadruple layers of high quality cotton fabric and are 19 inches in length meaning that the bag can be carried as a hand bag or as a shoulder bag. 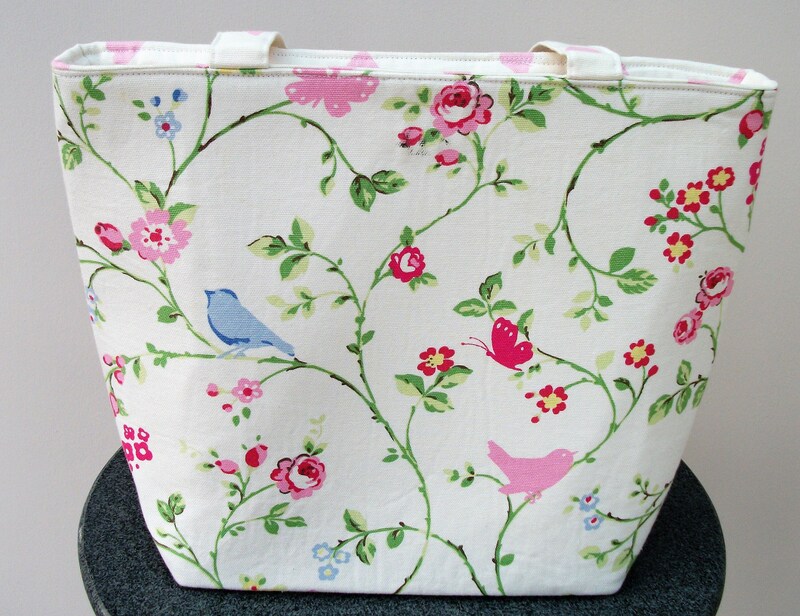 It can be used for carrying small items of shopping, books, music, or it can be used as a baby bag for carrying diapers, baby wipes, toys, etc - all the extras you need for a trip with baby! 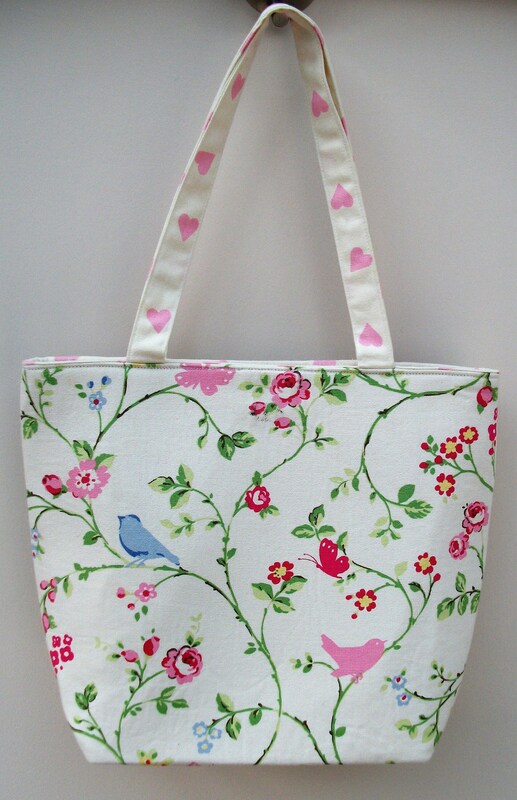 Most of my bags have a music themed title and whilst this bag does not have music notes on it, it was inspired by Delius's "Walk to the Paradise Garden". 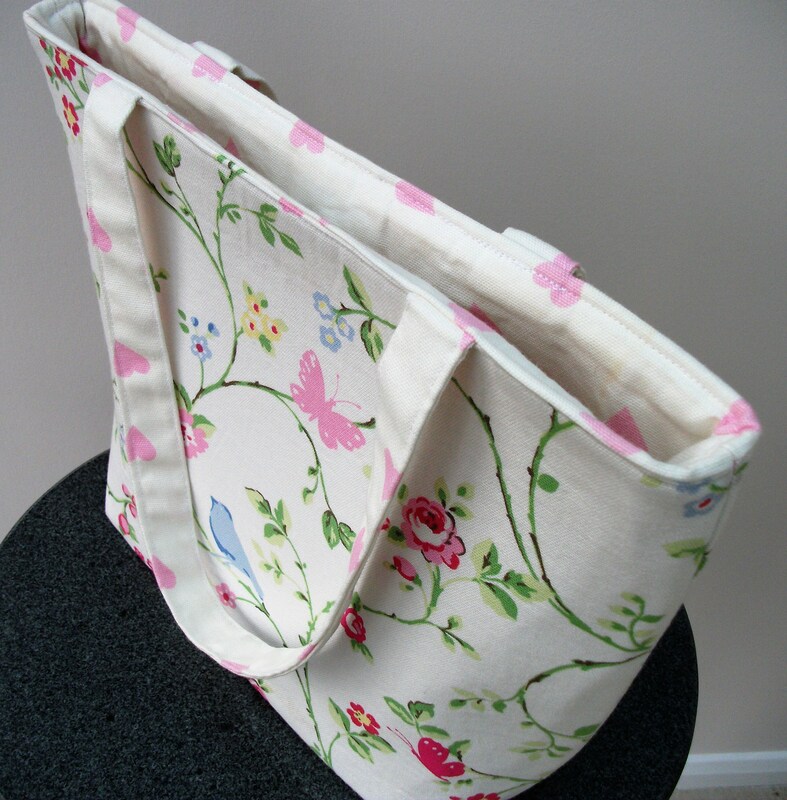 Can also be made with a pink spot lining, blue lining or a green spot lining. Please mark choice at check-out.